Between working 40 hours a week in an office and a long commute plus finding time to work out, I find that I really only have a few hours in my day that are my hours. Oh, and I also usually have to fit in some quality time with my lover, Trader Joe’s. I clearly made a trip there recently. 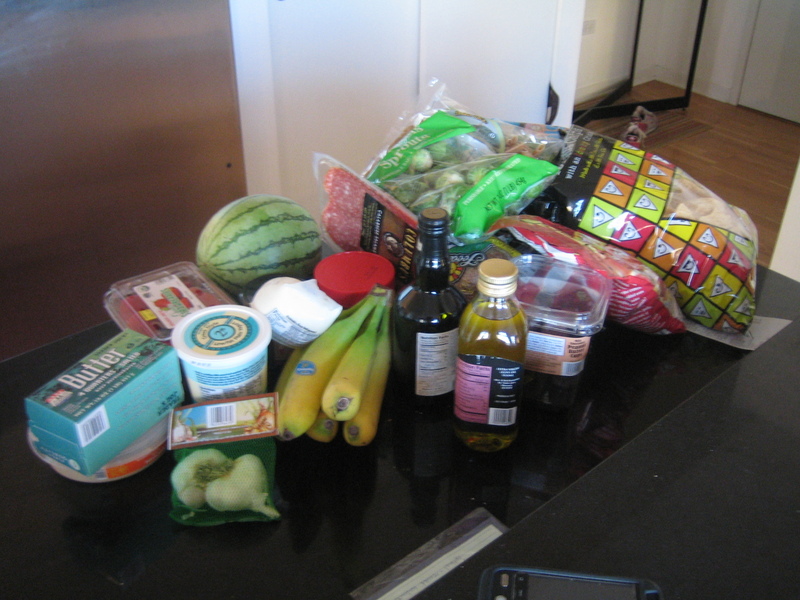 Can you tell that I hadn’t been grocery shopping in two whole weeks? I cleaned up. No, seriously, there was practically nothing left on the shelves. I have a problem. Do you think there’s a TJ’s Anonymous somewhere I could join? Some nights a good portion of my time is devoted to making dinner. I am a total freak and find cooking calming, but it’s not uncommon that I look at my watch once I’ve plated my food and find that I’ve spent a good 2 hours making dinner. Cook for a crowd even when it’s just you and tweak your recipes all week. Heat skillet on medium heat. Add a bit of oil and sautee the onion until soft and slightly caramelized. Add the vinegar and juice, reduce heat to low. Simmer until the sauce has reduced by half. It can be served as is, or if you want a thicker sauce, dissolve the cornstarch in an equal amount of water and stir into sauce. I seared up some chicken and cooked it through in a 375° oven, then dumped the sauce over it. It was really simple and really good! I bet this sauce would also be great on salmon. I cooked a whole bunch of chicken and I’ll be having it for several more meals. Plain, in a pita, on a salad, you name it. Much easier than cooking a whole new chicken dish. 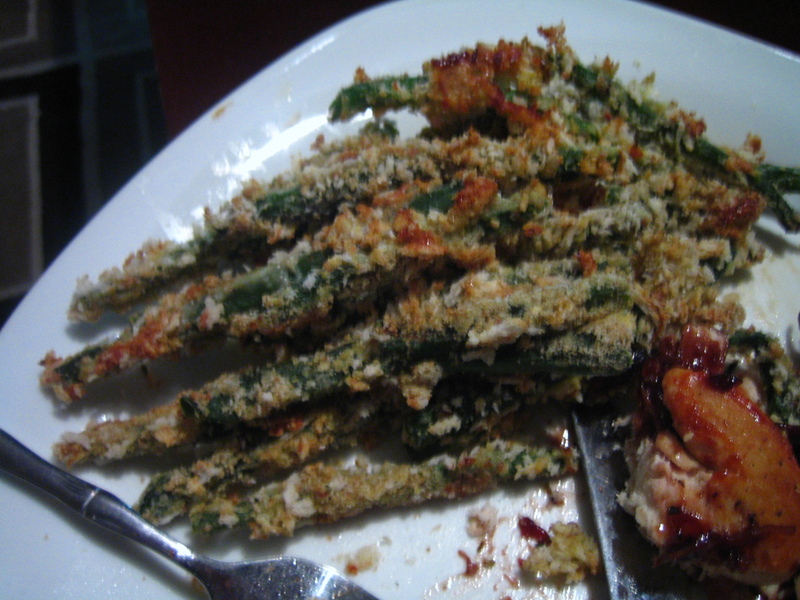 I also made some green bean fries to go alongside my chicken. I parboiled them in chicken broth, battered them simply in flour, egg and seasoned breadcrumbs and then baked them for about 30 minutes at 375°. I made enough for leftovers, but they didn’t make it. I ate them all. They were really good, although next time I’d stick to traditional dried breadcrumbs rather than panko (rice) breadcrumbs. I’ll tweak the recipe another day- details to come. I love knowing that I have leftovers in the fridge. It’s lovin’ that keeps on giving. Do you have a favorite sauce that you like to make for your proteins? Have you ever cooked with pomegranate juice? I highly recommend it! Ugh, I feel the same way – hardly any of my daily hours are actually MINE. Sigh. That meal is gorgeous, I’m so going to have to try those green bean fries. Leftovers are my best friend forever. 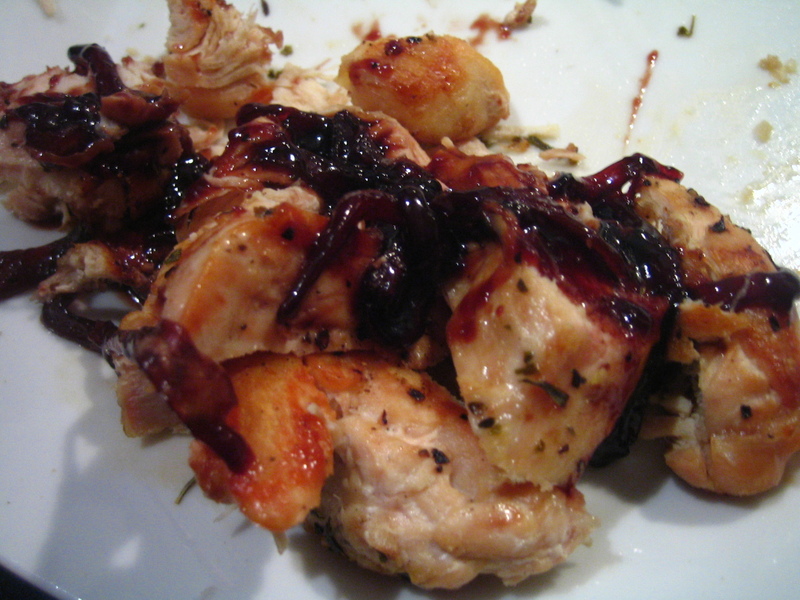 I’ve never heard of using pomegranate juice as a marinade but I’ll give it a try! I always like to use an asiany sauce, especially for fish! And I totally understand about not enough hours in a day. I think there needs to be closer to 30 if you ask me! Today I feel like we’re soulmates lady – when I walk into Trader Joe’s, it’s like returning to the mother ship. When I think about the amount of time I spend on cooking and fitness v. the amount of time I actually have during the week, I have to look at it as an investment, otherwise it gets WAY too overwhelming. 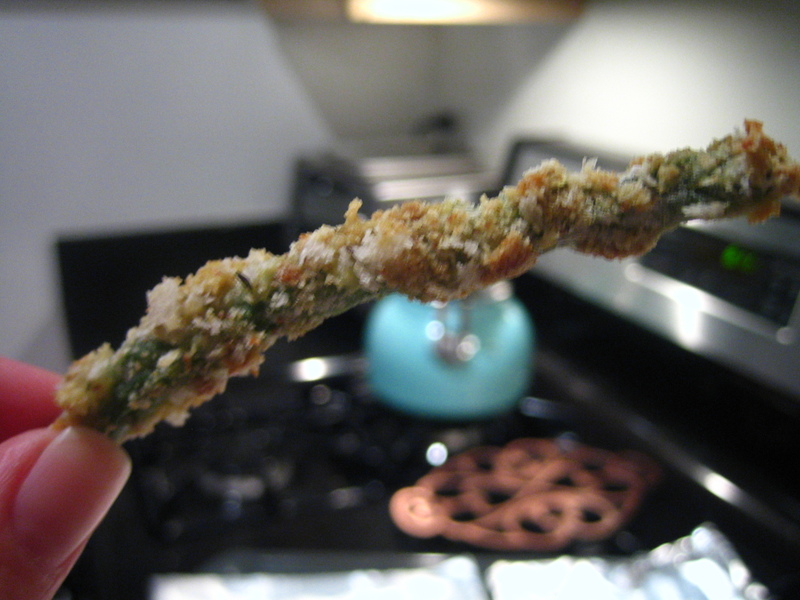 Thank you for sharing the green bean fries idea! Favorite sauce on protein? I think I’ve made honey-dijon sauce about 50 times since March. Every time is different, but it’s a combination of white wine and/or vinegar, mustard, honey, and some garlic. I usually use the wine/vinegar to deglaze the pan, then cook where I cooked the protein. It’s great with pork, chicken or turkey (or potatoes!) and as long as you don’t use too much honey, it’s easy!